The Lynx T Series has four size options: 2, 4, 6, and 8 modules each with 4 Generation IV 3-Watt LEDs. The Lynx T4-6 has 72 Watts of blazing luminosity with 12 color choices of either solid or split-colo combinations. All of the Lynx T Series come with TIR lenses which are made of optically transparent, shatterproof polycarbonate. 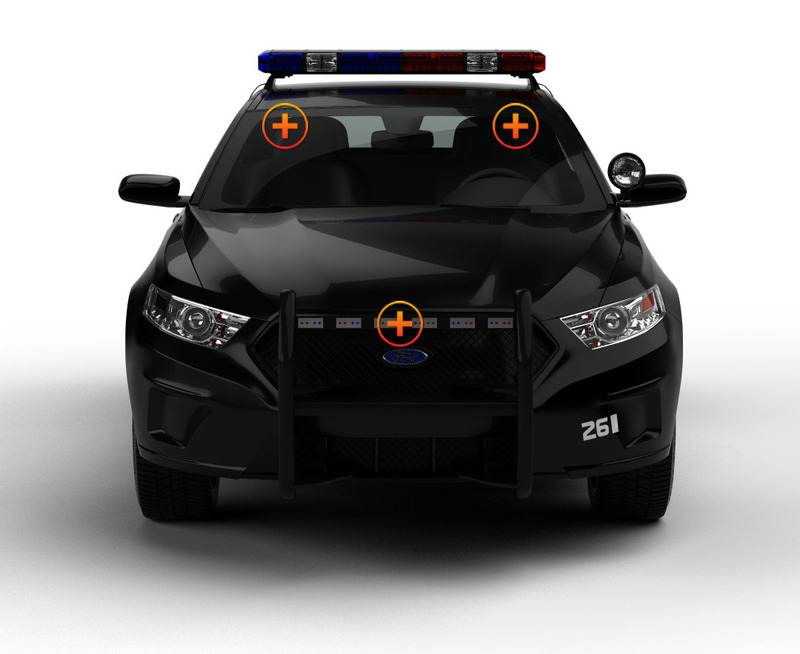 The T4-6 warning light bar can be mounted on the dash or deck with the mounting brackets and suction cups, or anywhere in the interior of your police vehicle or POV, because it has a 9’ cord from the cigarette lighter combination power plug with ON/OFF and Flash Pattern switches. It can also serve as an exterior light because it is sealed and waterproof. 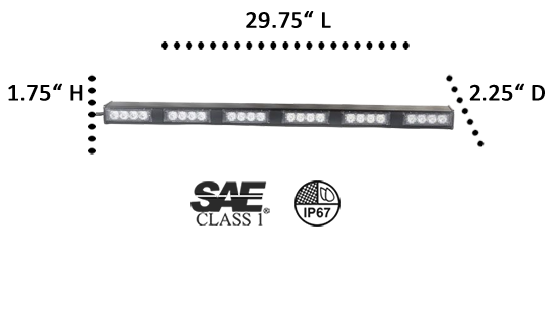 With 30 different flash patterns, the light bar becomes a traffic advisor, a warning light, or whatever you need with a push of a button. 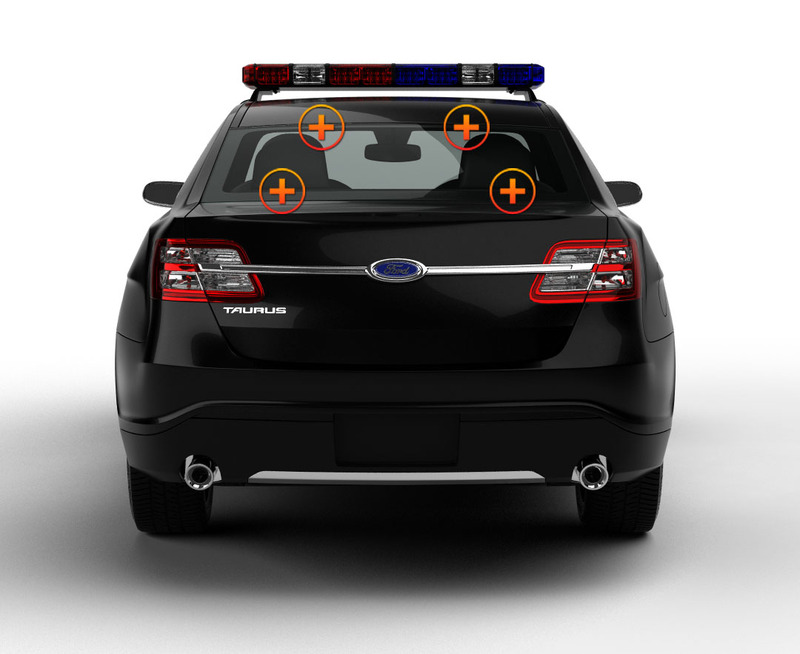 For permanent placement, the light bar can be easily hardwired to a light or siren system already installed. The housing is made of heavy-grade aluminum that will resist fracture. There are 2 lens choices with the Lynx Series: TIR lenses (T) or Linear 1 Optics (L). The TIR lens has a more focused beam of light, while the “L” models have a wider, broader light span. Each serves a particular purpose, yet the 3-Watt Generation III LEDs in both models are the same hard working, bright lights that can be seen from at least 2 miles, or farther depending on conditions, and are built to last 100,000 hours. Their brightness gives approaching motorists plenty of time to slow down and to drive cautiously passed the flashing lights making it safer for those who are managing an incident. Your Safety--Product Reliability--Unbeatable Prices….That’s what we value here at Extreme Tactical Dynamics! Very happy with the Lynx T4-6. I run this bar in the rear window of my POV and it's Very bright. 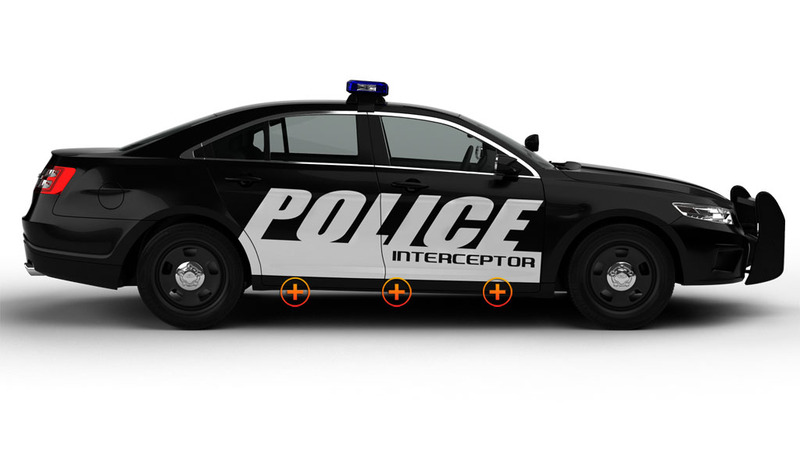 Cuts through 5% window tint like you wouldn't believe. I love that it acts as a traffic advisor too. Well worth the money. Definitely a satisfied customer and highly recommend dealing with ETD and buying this bar. This light is well worth the money. It has so many options on it. I love the built in traffic advisor function. I simply press a button can have it go in whichever direction I want it to go in. I have owned this light for about 1 year. I have had absolutely no trouble with it. I love the fact that it allows for instant traffic advisor / directional function. Great rear light. Mounted it nicely on the rear deck of my Dodge Charger and it penetrates thru limo tint just fine during the daytime!